By granting divisional status to Ladakh, the J&K Government has met a long-pending demand of residents of the cold desert region of the state. 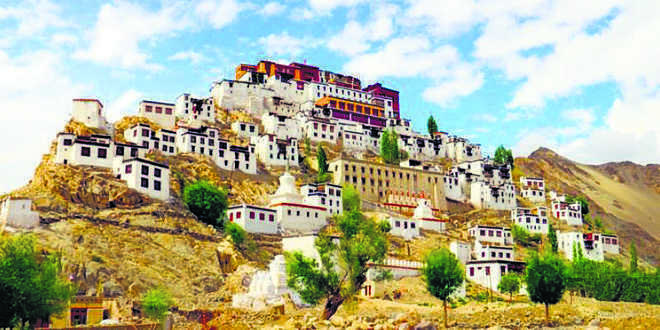 The people of Leh and Kargil districts, which comprise the region, have suffered for decades because of administrative disconnect and the absence of round-the-year road connectivity with the rest of the state. They were feeling the severe pinch of living in a mountain-locked area, with no access to the outside world during winter. Heavy snow closes all passes that provide it an opening to the rest of the state during summer. The resource-rich region is a disturbing picture of shortages of all kinds, from water to health services. This decision has opened a window for them to get their divisional-level administrative and revenue problems redressed within the region, relieving them of the hardships and risks of visiting Kashmir. However, what could have been an occasion for region-wide celebrations was marred by Kargil leaders protesting the stationing of divisional headquarters in Leh. It has exposed political and communal fault lines in the strategically-located region that borders China, Pakistan and Pakistan-occupied Kashmir. In real terms, the creation of a new division is neither a substitute for the Union Territory status that the Buddhists in Ladakh were demanding nor would it take care of its connectivity deficiency in absolute terms. And, with Kashmir-centric parties supporting the demands of Kargil politicians in the Kargil versus Leh debate, and also upping the ante for a similar status for Muslim-dominated parts of Jammu region, the state is looking at more trouble ahead. This was avoidable. Had the government taken political groups on board and also rolled out a blueprint for other sub-regions with similar aspirations, things would have had a positive ring. Now, political groups with a communal orientation have got a reason to stir up the cauldron quite vigorously ahead of the Assembly polls in the state.